A woman who stole from a budget retailer to fund her drug addiction will now pay compensation to the shop. Kathleen O’Neil, of Gordon Street, Leigh, pleaded guilty to pinching alcohol, cheese and other items from a B&M store on Wednesday January 9. 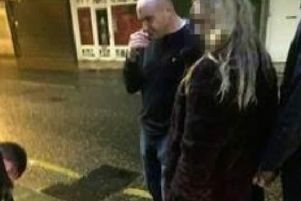 The 31-year-old was caught in the act by members of staff when they reviewed CCTV footage after the theft had taken place, Wigan and Leigh Magistrates’ Court was told. Police were given a description of O’Neil, and she was later arrested. The court heard that the overall value of the items was £61.91, and that they were not recovered. O’Neil, who was representing herself, was given the opportunity to explain the reason for her actions by magistrates, to which she told them about her constant struggle with drug addiction which led to her daughter being put into care. O’Neil also explained how she stopped taking methadone, a drug which was being used for detoxification from her previous substance abuse of what she referred to as “street drugs”. Her previous convictions consist of one other theft back in 2016, for which she was given a prison sentence. Justices gave O’Neil a 12-month conditional discharge, and ordered her to pay the £61.91 back to the B&M Bargains store as compensation. A victim surcharge of £85 and costs of £85 were wavered by the bench.